Before the copious amounts of updates (not being critical) Obscuirty was a scarey mod that on a late night was almost hard to play, that factor has since been all but eliminated and I would be interested in finding out what made the mod so startling and how it could be possibly revived? 1) experience - after playing so long most people are easy to predict. 2) playstyle - most people prefer to use the obs as some suicidal assault monster, not the stealthy killing machine as it is originally intended. in short, i don't feel its the mod itself thats changed it so much (other then perhaps tank stance), more the players who play it. When people don't rush and the ratio is minimal, it can still get scary sometimes. People cheating with gamma, rushes and too many obscurity players reduce the scare factor. As Phoenix stated, a player that can steathily take people down will still make you jump once they get the drop on you. I think another thing that reduces the scaryness is the fact that players regenerate health. There are plans to tackle this, but as yet have not been implemented. This stealth gaming style don't really works for me because if you don't move quick your distortion can be spotted too easily. Only fast moving helps that you stay invisible. we could lock r_gamma, but then people who legitimately need it higher (those with darker monitors) couldn't do so and it wouldn't be fair on them. there's pretty much no way of fixing it, but people who change it just ruin the atmosphere for themselves anyway. Also couldn't you have people who have darker monitors in a separate group like you would with admins or those who broke the rules? I did already for several days to limit the gamma. A default r_gamma of 1.0 was set when players connected and it was monitored via punkbuster that players don't leave the range of 0.8 and 1.0. Many kicks when it became dark for cvar violations of r_gamma up to 2.7. But many people whine about this step. Some said there monitors are so dark (I didn't thought there is such a high difference between different monitors. It became also visible for me, that some players needed nightvision while I really didn't needed it. So there seems to be huge differences between different monitors. Hence why we havent restricted it. I just call people up on it after I run a command to get their current values and lose any respect for them. "couldn't you have people who have darker monitors in a separate group"
So we're supposed to rely on people's word that they have darker monitors, thus defeating the purpose of restricting it in the first place? I think part of the reason it's not that scary is that you can now easily out run the obs. Just by holding out your pistol or using hustle you can match and even go faster than the obs' speed. Because of this people or no longer afraid of obs since they can make an easy get away. I think speed shouldn't be determined by what gun your holding out, but by what gun you start out with. Hustle should also be eliminated. People should be alert and prepared at all times and not just run away when an obs is near. These chases often end up with the person jumping with acrobat and then spraying his pistol at the obs. This succeeds all the time so now everyones so confident they'll kill an obs. 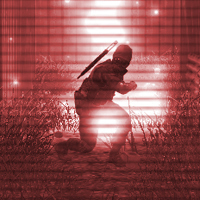 Those hot shot snipers should be on their toes and not always be able to escape when they miss.